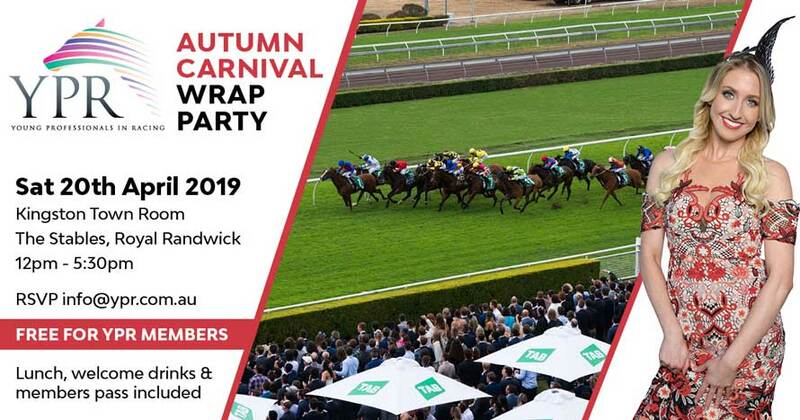 Young Professionals in Racing Limited (YPR) is a not-for-profit association operating in connection with the Thoroughbred racing industry. SIMPLY COMPLETE THE FORM AND KEEP AN EYE OUT FOR THE NEXT LEG UP E-NEWSLETTER IN YOUR INBOX FOR MORE EXCITING DETAILS. Are you interested in sponsoring the next generation in racing? YPR is proudly supported by industry partners who share our vision and provide us with valuable assistance in achieving our objectives. YPR extends an enormous THANK YOU to our current partners and affiliates for their generous support – we could not do this without you!